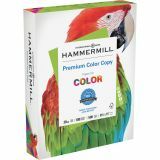 Hammermill Copy Paper, 100 Brightness, 28 lb, 8 1/2 x 11, Photo White, 500 Sheets/Ream - Hammermill Color Copy Paper is a high brightness, extra smooth paper designed to highlight color images in perfect clarity. The 28 lb. 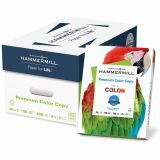 sheet is heavier than standard copy paper but designed to work with copiers, laser printers, inkjet printers, fax machines and offset presses of any size. Additional thickness of paper provides a sturdier surface for registering more color on heavy toner jobs. 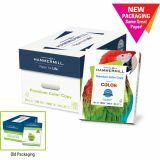 Super brightness offers supreme image contrast and color reproduction. Ultra smooth finish means brilliant color with flawless toner blending.